“Hearing for Learning aims to dramatically lift the capacity for communities to identify ear disease within the first few months of life. Infants rarely show signs of ear pain, so infections are not detected and diseases like otitis media persist and progress. By 12 months of age, only five per cent of First Nations children in remote communities have bilateral normal hearing, compared with over 80 per cent of children in the rest of Australia. Children with undiagnosed hearing loss tend to fall behind at school due to delayed speech and language development. When we focus on the first 1000 days of a child’s life, we know we get better outcomes for their future, and that’s what this partnership aims to do. ” When we learned about the chronic nature of ear disease in children living in remote communities in the Northern Territory, we could not ignore the fact that this likely leads to profound disadvantage in health, education and employment outcomes. We believe more must be done and the next step is to support the community to deliver a solution. Philanthropy plays a unique role in recognising and piloting new approaches, however, it requires partnership with government to deliver these approaches at scale. The Government is to be applauded for putting this unique partnership together to solve what has now become a serious epidemic. 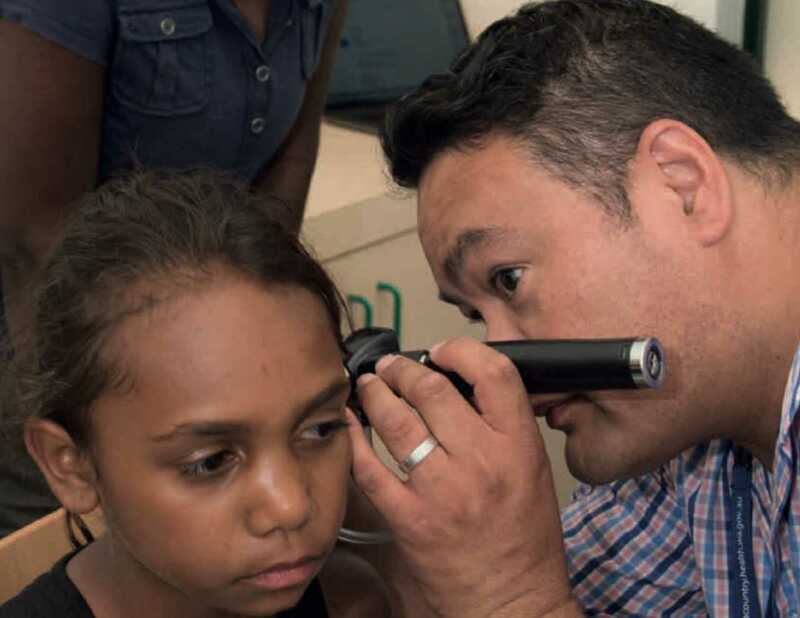 Dozens of local Ear Health Project Officers will spearhead a new $7.9 million program to fight hearing loss among Aboriginal and Torres Strait Islander children in the Northern Territory. The Hearing for Learning initiative will be established in 20 urban, rural and remote sites, where up to 40 local people will strengthen and complement the work of fly-in fly-out (FIFO) ear specialists. 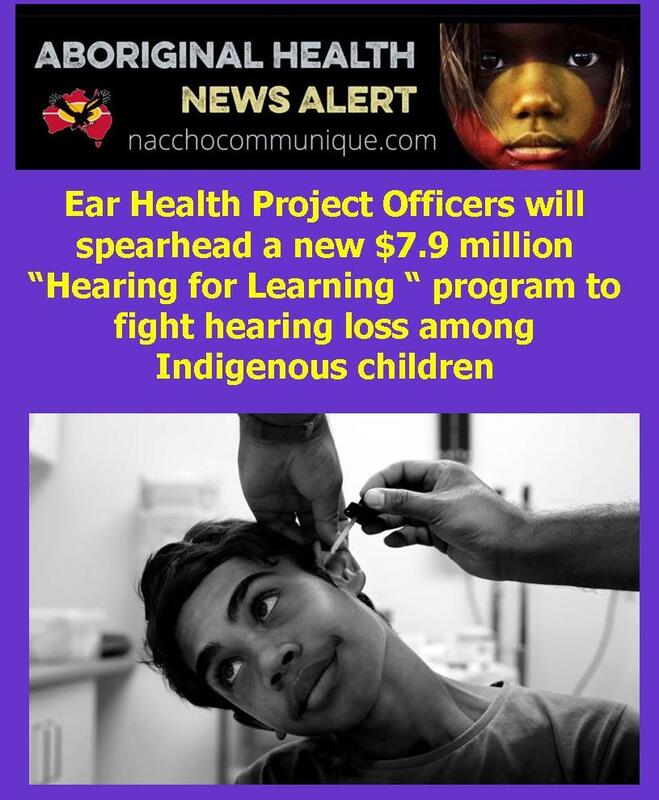 “This is an exciting new opportunity to remove the preventable blight of hearing loss from current and future generations,” said Indigenous Health Minister Ken Wyatt AM. “These local ear health warriors will integrate with existing primary care services, to help protect the hearing of up to 5,000 children from birth to 16 years old. The initiative will be implemented by the Menzies School of Health Research and co-led by Professor Amanda Leach and Associate Professor Kelvin Kong. “Hearing for Learning aims to dramatically lift the capacity for communities to identify ear disease within the first few months of life,” said Minister Wyatt. “Infants rarely show signs of ear pain, so infections are not detected and diseases like otitis media persist and progress. “Children with undiagnosed hearing loss tend to fall behind at school due to delayed speech and language development,” Minister Wyatt said. The Menzies School of Health Research aims to make Hearing for Learning a care model that can be replicated across the nation. Hearing for Learning will complement the Government’s existing ear health programs, including Healthy Ears, which together will receive funding of $81.8 million over four years from 2018–19. This includes $30 million for a new outreach program to provide annual hearing assessment, referral and follow-up treatment for Aboriginal and Torres Strait Islander children before they start school.